Its important to take time out to relax and why not kill two birds with one stone and do your skin some good too. 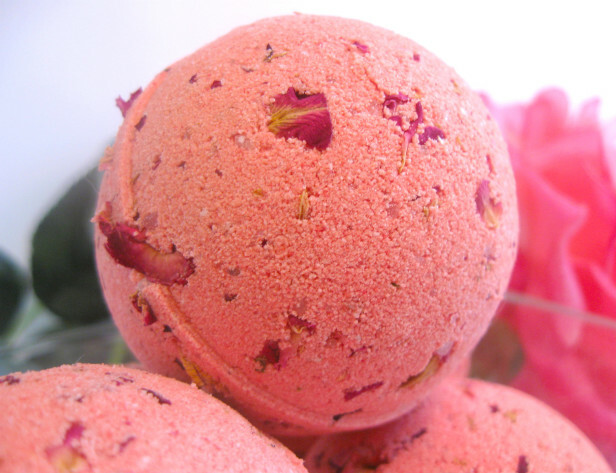 The DIY recipe for a bath bomb is easy to put together and will do your skin some good. Run a warm bath toss one of these in and relax! Check out the instructions below!. Mix the ingredients together and place them in the mold or mold them with your hand wrap them in plastic wrap. Let them sit for a few minutes to give them time to harden, pop them out and let them dry for 24 hours. Don't use too much witch hazel; a few spritzes is all you need. Otherwise it will make the bath bomb react too early and it will become a wet glob, aim for the consistency you would look for when building a sand castle. If using salts, use a small amount. Too much salt will prohibit the bath bomb from bonding and it will be brittle. Have you tried this DIY project??? Let us know what you think in the comment section below!